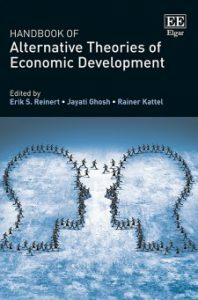 in : Handbook of Alternative theories of economic development Edited by Erik S. Reinert, Jayati Ghosh, Rainer Kattel, Elgar Editors, 2017, chapter 20, p. 352-385. The Handbook of Alternative Theories of Economic Development explores the theories and approaches which, over a prolonged period of time, have existed as viable alternatives to today’s mainstream and neo-classical tenets. With a total of more than 40 specially commissioned chapters, written by the foremost authorities in their respective fields, this volume represents a landmark in the field of economic development. It elucidates the richness of the alternative and sometimes misunderstood ideas which, in different historical contexts, have proved to be vital to the improvement of the human condition.